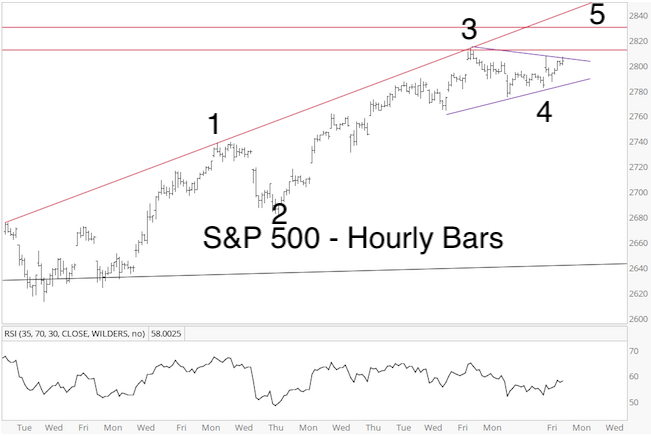 Last week’s S&P 500 update highlighted a triangle and complete 5-wave pattern likely to be followed by a ‘pop and drop’ with a minimum down side target around 2,720. Price popped to 2,817, and subsequent dropped to 2,722, confirming (and possibly completing) this pattern. As mentioned in the March 10 Profit Radar Report, to see more down side, the S&P would have had to stay below 2,764, otherwise odds would favor a new high. 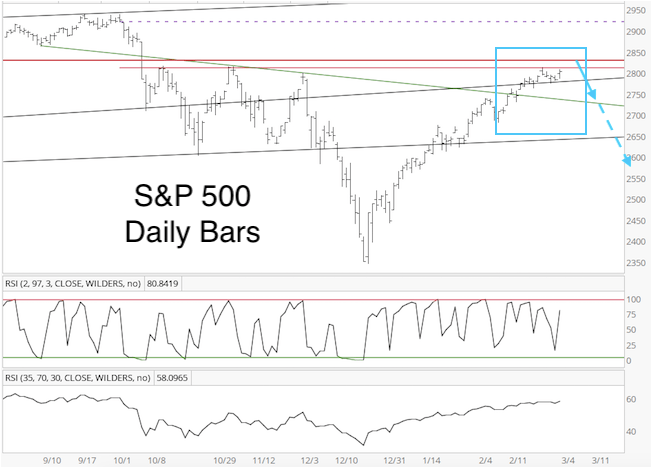 On Monday, the S&P moved above 2,764, and subsequently a new high. How does that new high fit into the bigger picture? 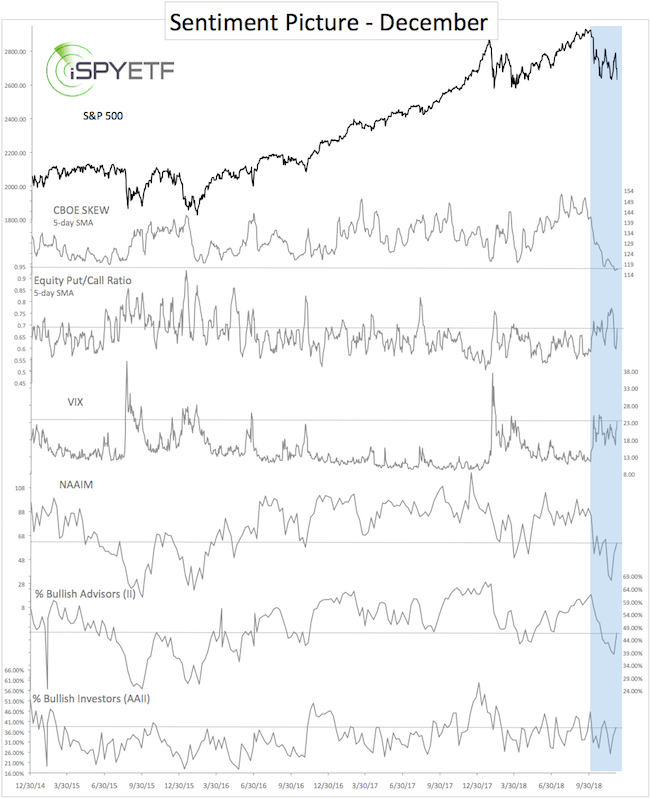 My analysis includes many different indicators, but the only one that’s really mattered is the December/January breadth thrust discussed here. Elliott Wave Theory (EWT) on the other hand has been of little help. In fact, I have rarely seen more conflict among EWT analysts with many either adjusting their labels to match stubbornly held interpretations, or changing on a whim. This can be (and usually is) costly for readers and investors. The honest approach is to just admit when the EWT structure is foggy. The chart below shows the EWT conundrom: The wave structure going into, and coming out of, the December low is messy, and up to interpretation. 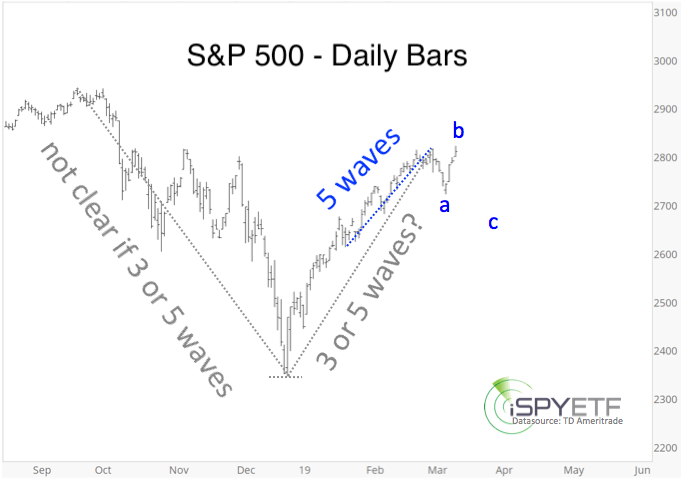 If you are not familiar with EWT, in order to pinpoint the main trend, it’s important to discern a clear 5-wave (or at least 3-wave) pattern. A 5-wave pattern usually marks the dominant trend, and is followed by a pullback, and trend continuation. 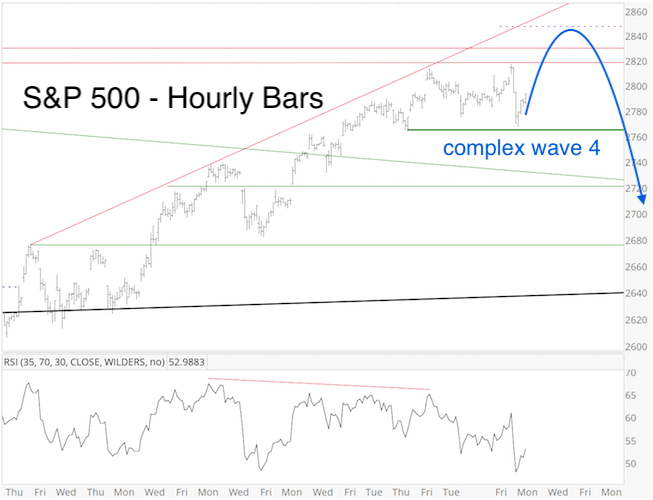 The blue stretch above labeled “5 waves” is the only clear pattern I’ve been able to discern (published real time in the March 3 Profit Radar Report, see chart below). The completed pattern suggested a 100-point drop (or more). In reality it led to a 95-point drop. Since the drop reached my minimum target (2,720, green trend line, first chart) and stopped after only 3 waves (3 waves are counter trend), it may have completed the entire pullback. The blue “a-b-c” labels show another valid path, which suggest the S&P 500 will soon relapse and re-visit the 2,700 range. 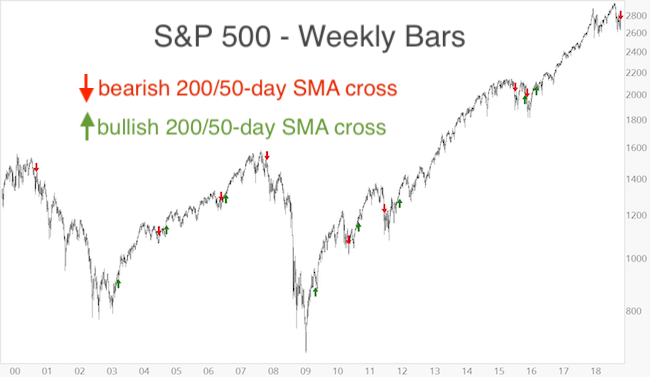 Basic chart analysis shows the S&P 500 bumping against a cluster of resistance (first chart). Risk is elevated while below resistance, but the more obvious a resistance level becomes (such as this one), the more likely it is for price to surpass or see-saw that level. An immediate U-turn, or a quickly reversed spike above resistance, would be the first indication that the blue path illustrated above is playing out. This is a shorter-term Elliott Wave Theory-based forecast. A longer-term forecast based on a different set of reliable indicators is available here. 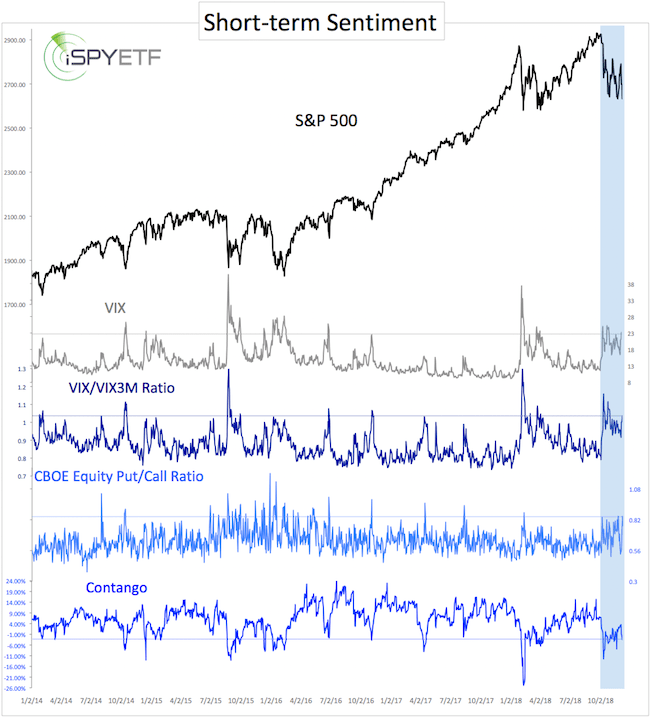 Most of February’s market action was outright boring! Starting in late February, however, boring morphed into revealind. The range bound trading actually provided clarity. 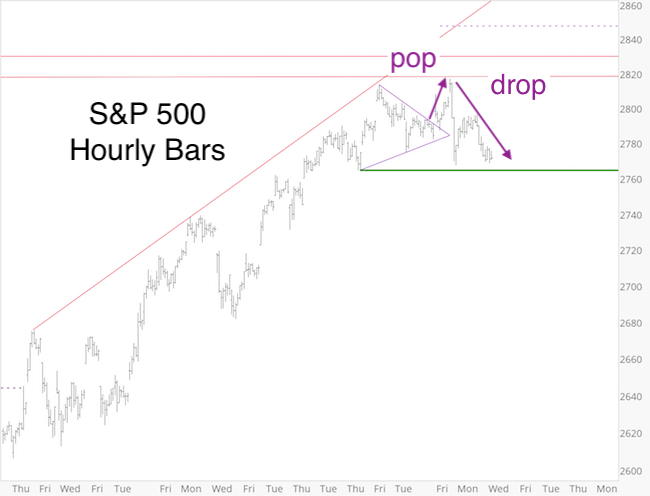 Via the February 27 Profit Radar Report, I pointed out a possible S&P 500 triangle formation. The chart below (published in the March 3 Profit Radar Report) illustrated the triangle formation as it corresponds to Elliott Wave Theory. In short, the triangle was to be followed by a pop and drop. As the updated price chart shows, this is what happened. 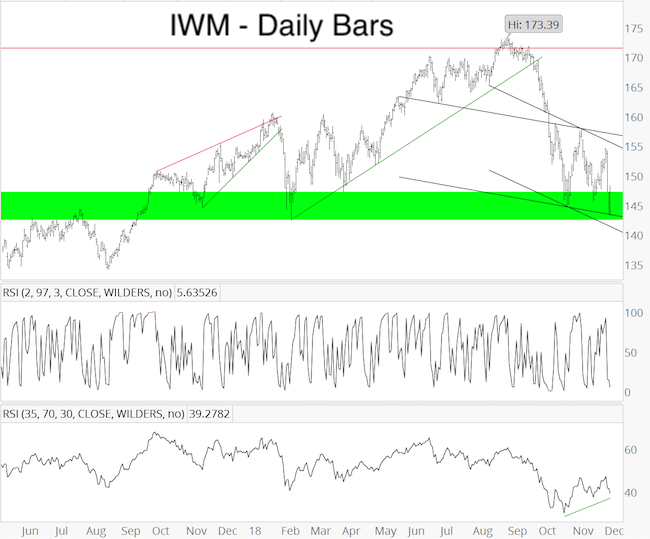 The green line highlights important support provided by the February 21 low (2,664,55). I don’t think it will, but as long as this support holds, a different kind of Elliott Wave Theory formation – a more complex ‘flat triangle’ – is possible (see blue lines in chart below). Regardless, the post triangle pop should be wave 5, which marks the completion of this particular rally leg. The wave 5 high likely occurred already on Monday (2,816.88). Regardless, a pullback is here or near. How much of a pullback? How Big of a Drop? 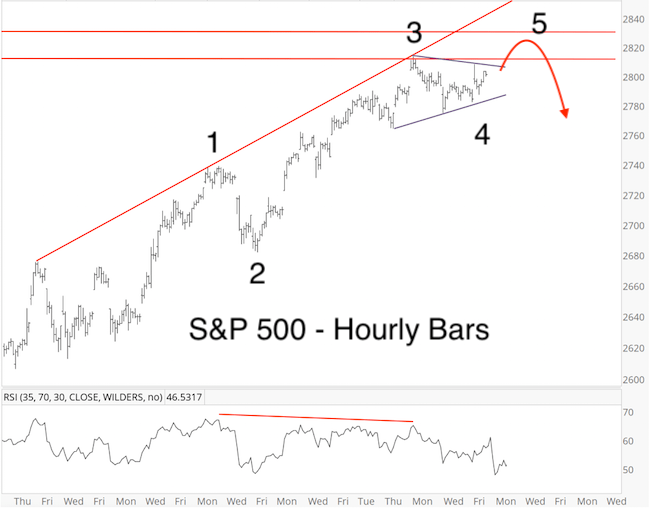 It’s been difficult to count the rally from the December low in terms of Elliott Wave Theory, but the rally from the February 21 low has taken the shape of 5 waves (see above charts). A completed 5-wave rally is always followed by a pullback. 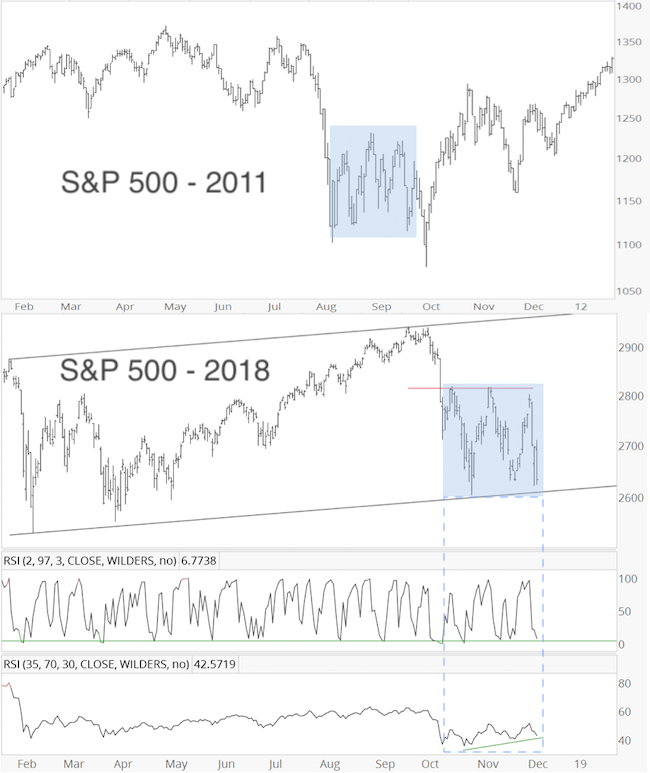 The question is this: Does the 5-wave rally complete only a small rally leg (going back to early February) or the entire rally from the December 24 low? The blue box highlights the discussed 5-wave sequence (chart published in the March 3 Profit Radar Report). We know that this portion of the rally should be retraced for sure (solid blue arrow). However, it’s possible that the latest 5-wave sequence ends a larger A-B-C or 5-wave advance, which would suggest a much deeper drop (dashed blue line). 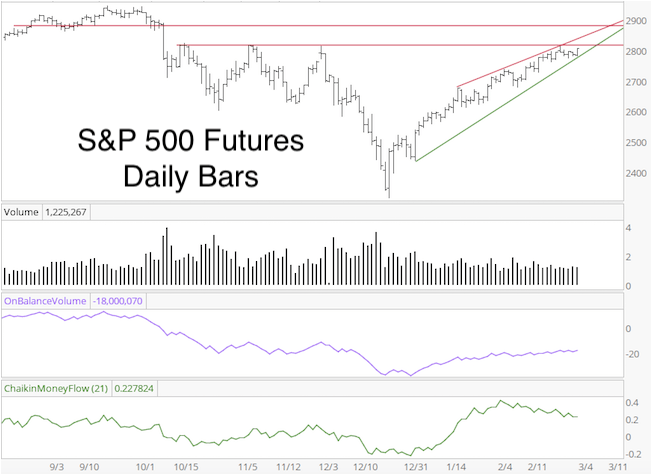 The S&P 500 futures chart, published in the March 3 Profit Radar Report, shows an ominous wedge formation with decreasing volume, which could translate into significant down side risk. It looks like the minimum down side target is around 2,720, but a drop to 2,600 (and lower) seems quite likely. We will asses down side risk as the decline progresses. There’s never been a time when articles on iSPYETF.com have been posted at the snail-pace of about one per month … until now. Unless you are a stock picker, there’s simply been nothing worthwhile to write about. This ‘real unexciting, unstimulating and uninspiring grind higher to 2,600+/-‘ has already lasted more than 7 weeks. 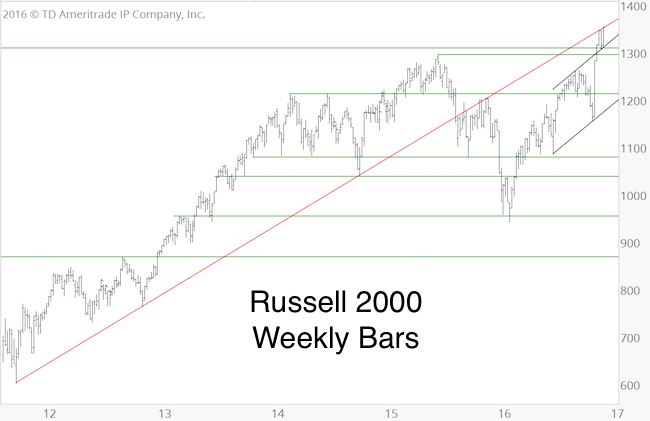 Below is an updated Russell 2000 chart. Trade touched support around 1,450 on November 15, and rallied strongly. The minimum requirement for wave 5 is to reach new highs (which it already did), but the convergence of resistance levels around 1,542 (red oval) is the next most logical up side target (higher is also possible). 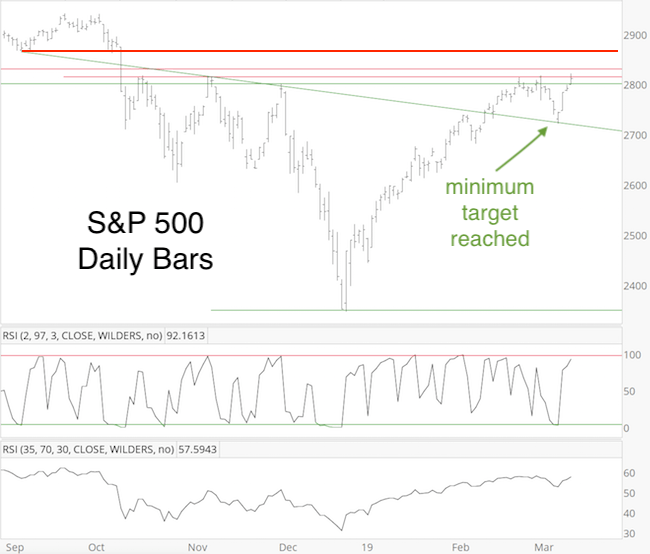 The S&P 500 has basically reached our up side target around 2,600. 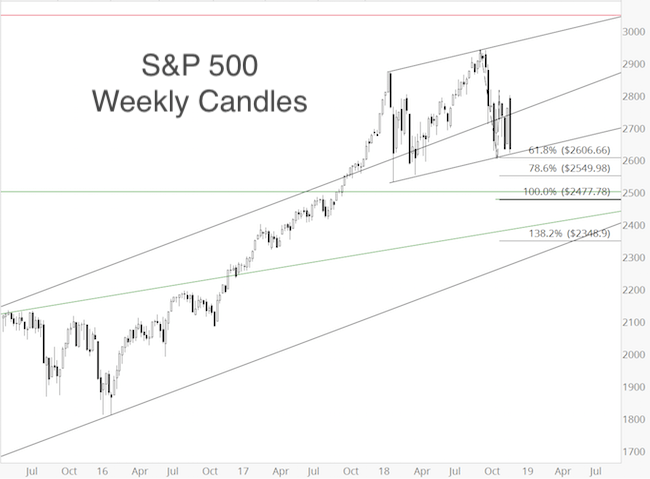 The post-Thanksgiving week is seasonally weak, but as long as trade stays above 2,590, the S&P is likely to move towards the next resistance cluster around 2,650. Continued analysis for the S&P 500, Russell 2000, gold, silver, euro, dollar and other equity indexes is provided via the Profit Radar Report. 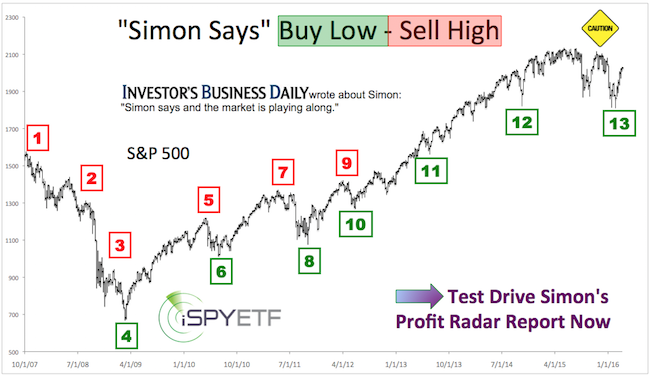 Top Shelf Traders, a monthly eMagazine for active investors and traders, just featured iSPYETF’s Profit Radar Report. Every month, Top Shelf Trader introduces unique approaches to trading stocks, options, futures, and Forex. 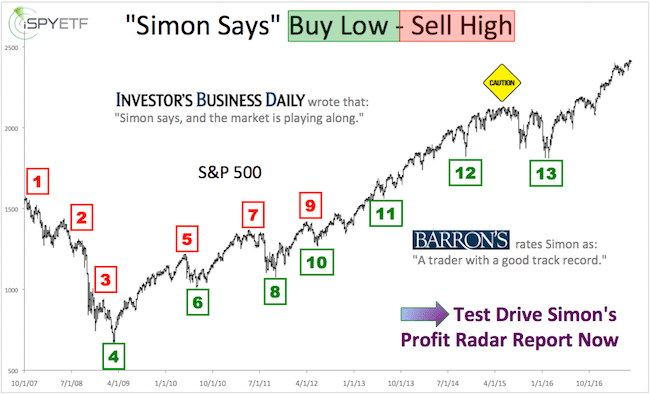 The Profit Radar Report is featured in the “Stock” section. A complimentary look at Top Shelf Trader is available here. 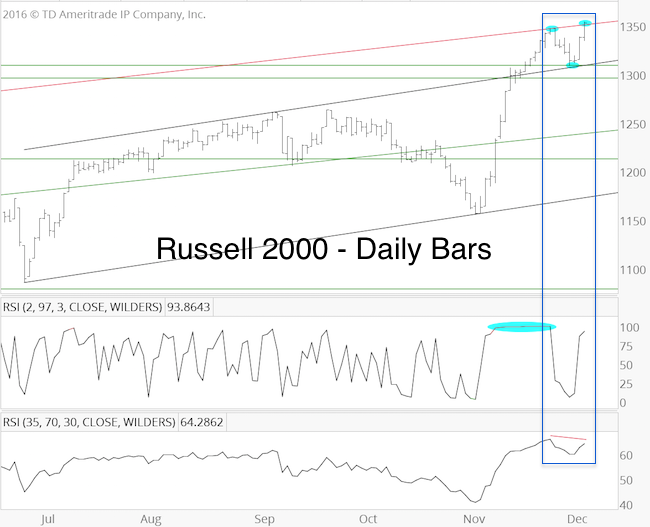 The Russell 2000 has been on a tear. 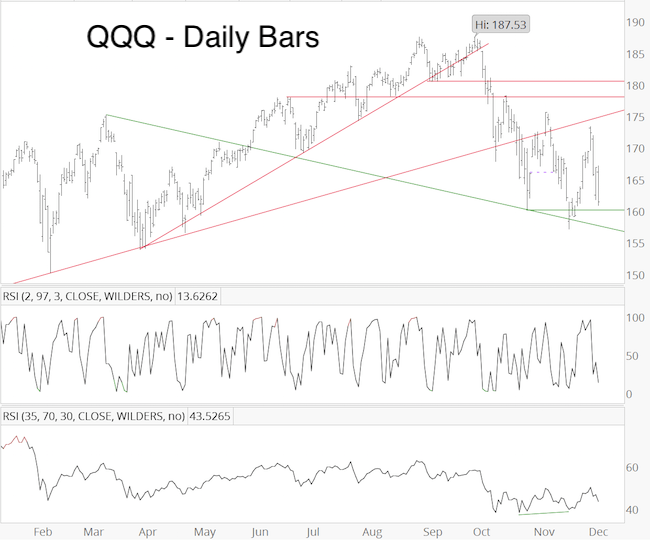 On November 28, the R2K ended a 15-day winning streak when it touched red trend line resistance at 1,349 mentioned by the Profit Radar Report. This pullback was to be temporary. The November 30 Profit Radar Report stated that: “The R2k is nearing an oversold condition and strong support at 1,309 – 1,296,” and recommended to buy R2k at 1,305. 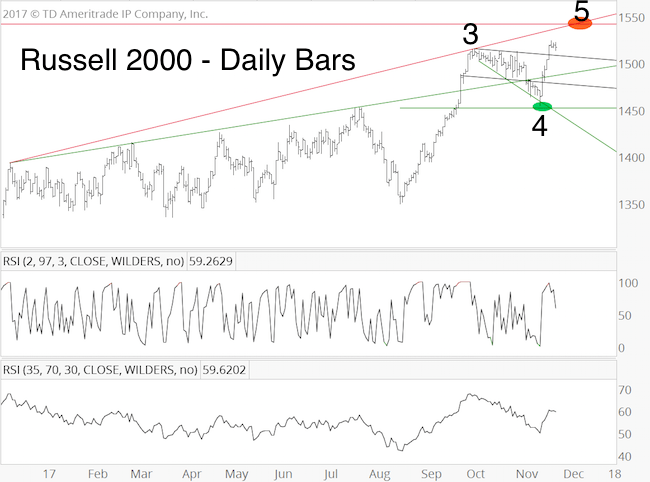 The corresponding level for the iShares Russell 2000 ETF (IWM) was 129.90. Now the R2K is back at trend line resistance, but this time it carved out a bearish RSI divergence. 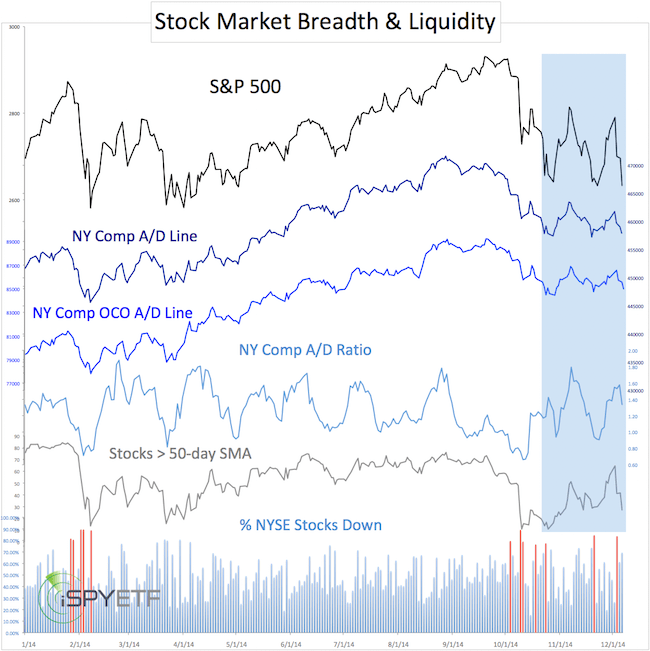 There was no such divergence on November 25, which strongly suggested new all-time highs. Bearish RSI Divergence, a Red Flag? 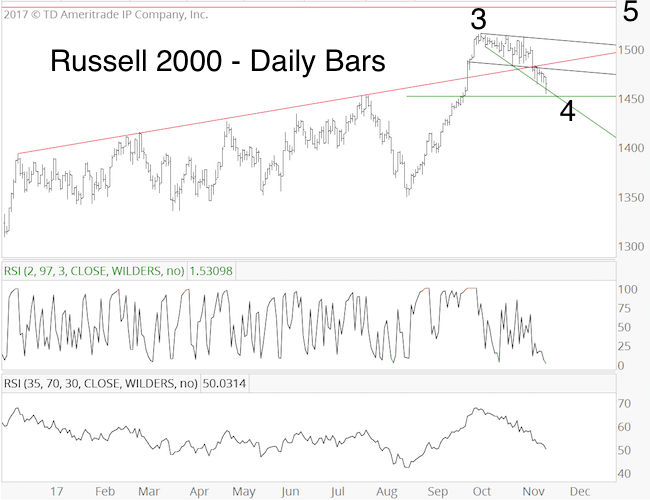 The Russell 2000 has plowed higher ever since. 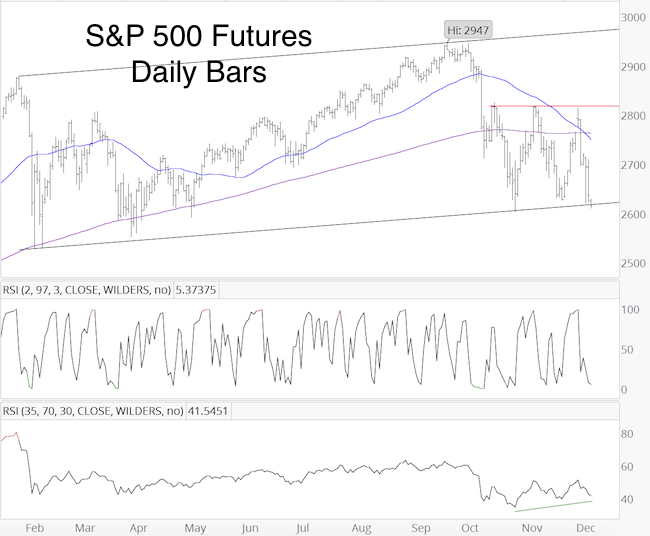 The unique condition that allows for continuous gains despite on overbought condition is discussed here: S&P 500 Update – Expect the Abnormal? Here is another statistic in favor of higher prices: Since 1979, there’ve been 12 other times when the R2K rallied at least 12 days in a row. A month later, the R2K was higher 10 times. 3 month later, the R2k was higher 7 times. 6 months later the R2k was higher 10 times. The chart above provides long-term context for the R2K. The red trend line going back to 2011 is obvious resistance. If (and as long as) the R2K is able to sustain a break above this line, it may just continue higher. Until it does, some caution is warranted. Continuous updates for the Russell 2000, S&P 500 and other asset classes are available via the Profit Radar Report. What do subscribers think about the Profit Radar Report? How about FORMER subscribers? This might be the most candid real life testimonial page you’ve ever seen. Here is a selection of comments ranging from complimentary to brutally honest. The iSPYETF inbox has received quite some feedback in 2016. Most of it was complimentary, but we also received some downright angry criticism too. Below is a selection of unedited comments. Prior permission to publish comments was not obtained. Therefore, the last name is abbreviated for privacy reasons. About 1 out of 10 subscribers cancel within the 30-day money back guarantee period. In an effort to constantly improve the Profit Radar Report, we usually try to find out why. Some of the reasons are published below (see cancellation feedback). Don’t sweat it. You’ve had many more good calls than bad in the few years I’ve been following and your insight is more valuable (to me) than ever. Have a good weekend. — Mike M.
Ralf was right, we accidentially charged his credit card even though he cancelled. We appologized and issued a full refund … and he continued to throw insults. BTW, the ‘Contact Us’ section is right here. Hi, Simon, Great to hear from you. Please just cancel my account and refund me for now. I am extremely busy with career now. Will take up on investing and trading later on. Thanks so much for all valuable insight all the way. Li W.
I really appreciate the loyalty discount. Most of all I appreciate what you do. While often your analysis is over my head technically, I am still able to glean the clearest picture of likely outcomes from your work. I always expected that when I retried, I would invest in bonds, live a relatively stress-free life and maybe have something left to pass on to my children. Instead, investing has become an incredibly treacherous and anxiety-inducing undertaking, and without your newsletter I would truly be adrift at sea without aid of navigation. — Frank O.